Jan was to be a bird sitter, Gary standing there for a minute stretching out his response with a long drawn out “Oooookay”. Pam Cox, who frequented Jan’s Stateline ceramic business asking if Jan could look in and feed her birds while she and husband Bob were on vacation. Gary was aware of Bob’s printing and clock repair on Main St. but had no idea the couple were engaged in the raising and selling of several variety of birds. It was a given conclusion when Pam asked, that Gary would accompany his wife to the Cox residence, Pam proudly showing her aviculture collection explaining the duties of how to feed and water the caged feathered vocalists. The couple taking on the responsibility and Gary remembering as a youth having a brief experience with a family parakeet named Pretty Boy. 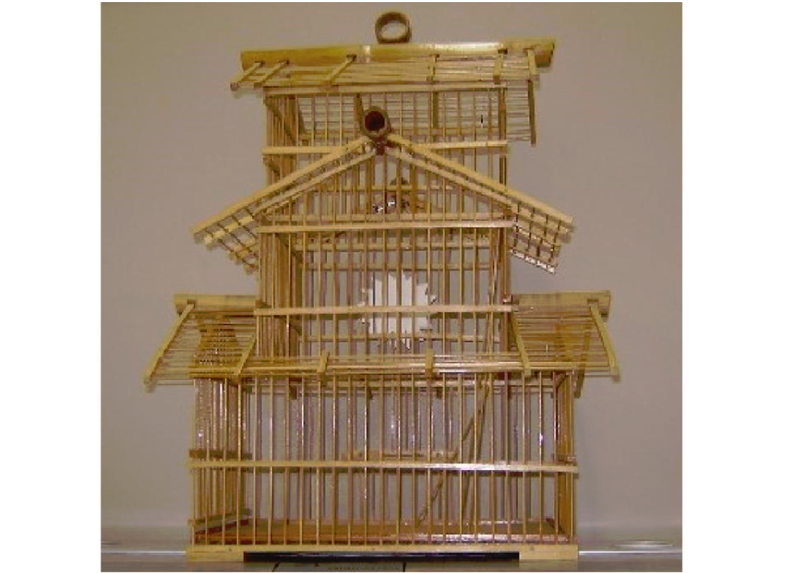 On occasions they would leave his door open and the bird would be released from its caged environment and one day like an imprisoned convict, the opportunity came Pretty Boy fled its gilded cage for the world of out-of-doors. 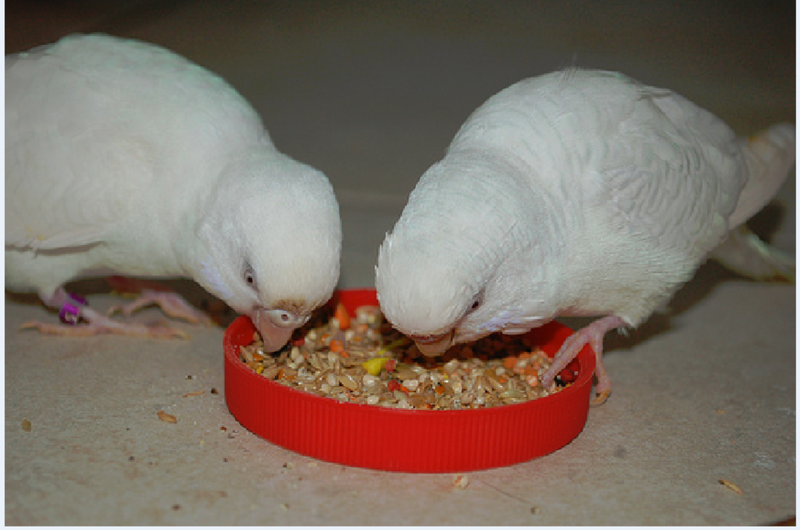 A bird avidity was not one of Gary’s attribute, but upon the return of the Cox family some new additions resided at the 11th St. Willson residence, a pair of glowing white Budgies. Finding the appropriate location was not difficult, the small room at the rear of the kitchen that provided for the wash machine and water heater would be suitable for their domain, especially after experiencing the hygienic projection and feathers of the two-winged courtiers. The new residential endeavors receiving a welcoming reception, Robert and Sandi being questioned for applicable names and without hesitation the two birds were appropriated as Bert and Ernie, a reverence to the television incarnate. The two newly acquainted residents firmly established, Jan finding that Ernie in reality should have been endowed Ernestine, thus a search for a larger more suitable habitat was in order. Fulfilling a trip to Wichita, a three-tier wooden dowel constructed domicile was purchased, the much larger quarters, a provision for a possible family expansion. The wooden structure proving to be an adequate abode for the two nestling Parakeets except for Bert’s inquisitive nature, soon discovering he could peck at the dowels, opening a fissure and enjoy the freedom of flight throughout the house. Gary doing his best to discourage it, replacing the missing wooden restraints immediately. Robert and Sandi’s interest in the two birds soon waned, the youths finding school and outside activities more attuned to their appreciation, but this was to be expected, Gary inheriting another incumbency of custodial care. Ernestine giving indication by composing a nest, but wasn’t resolute in her accomplishments, her demeanor began to change and she began to display signs of physical distress. A question to Pam concerning the ailments contracted by birds found a discovery, some of her customers birds having developed a disorder common to parakeet. Ernestine passed on, soaring in the boundless heavens, an additional beauty added to God’s Realm. With Ernestine’s demise, Bert soon became despondent, refraining from eating, getting weaker, but still a relentless worker at freeing himself from his prison. Raising at 4:00 a.m., readying for work, Gary entered the bathroom, a bereaved sight, finding Bert floating in the commode, his nighttime flight having gone awry. Gary having no affinity for the despondency encountered by the Bert’s passing so when Robert and Sandi questioned about the disappearance of Bert, the story was, Bert manage to gain his freedom thru an open window and was enjoying his life amongst the towering trees, soaring with the clouds and once again free of confinement to join in the activities of all the other birds. The brisk Kansas winters required an ample supply of firewood for the Hurricane Wood burner. Gary always keeping an eye open for free firewood. Huber Farney offering to oblige, mentioning the old growth of wind breaking trees surrounding his large two-story farmhouse needed to be removed as he had planted a newer growth of row trees and they were big enough for a wind break. 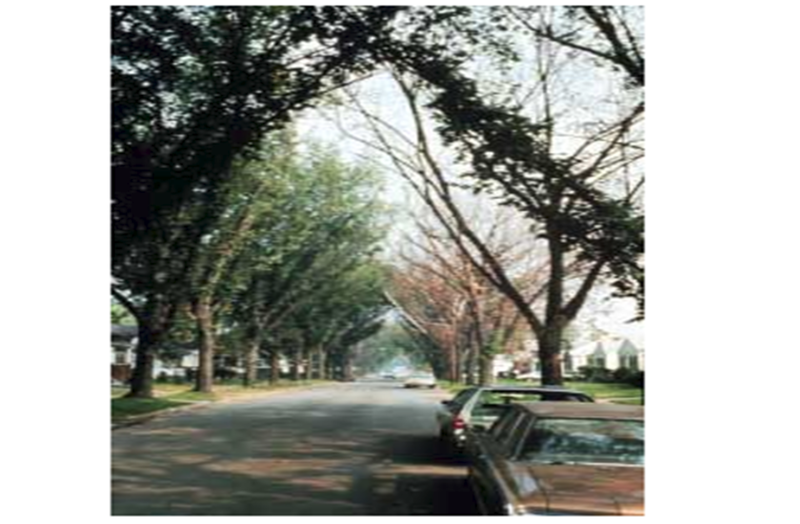 The Farney’s older tree row was a combination of Cedar and Osage Orange, better known as hedge. As a novice with a chainsaw Gary entered the firewood escapade full of confidence with his 16 inch Homelite saw expecting the ready-made tree row would succumb without any difficulty, he was wrong. It was his first experience cutting hedge, having heard it was slow burning, giving off lots of heat and was high on the list of best firewood if not the best. What wasn’t said was, its qualities of slow burning high heat was due to its hardness and that those qualities also could devour the chain on a under-powered 16 inch chainsaw. Saving face he proceeded to harvest just enough of the cedar to justify his attempt and for the Farneys to see that he had been there. Homemade log splitter using welding chisel blades. All was not lost in a search for firewood, Gary having taken notice of the news on television of the influx of Dutch Elm Disease that was sweeping Kansas and Oklahoma. He was very much aware of the detriment to elms on both sides of Main St. between 9th and 11th street, bringing it to the attention of Glen Piper, as several of these trees were on school property. 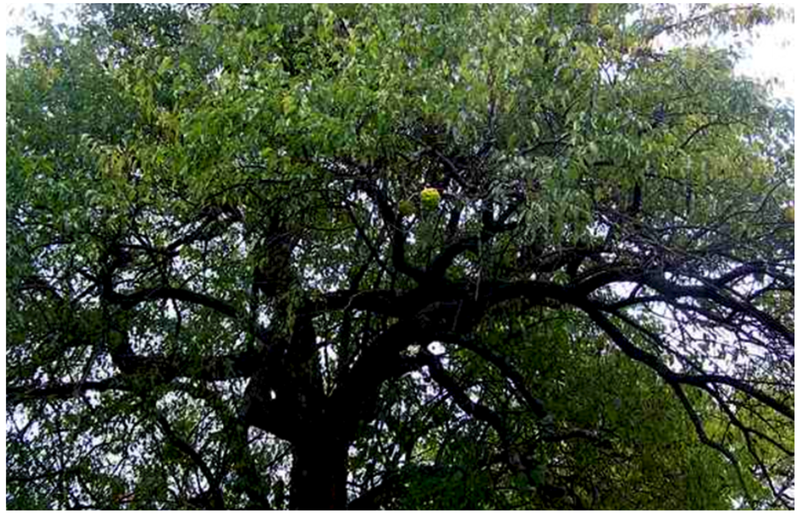 The City of Kiowa finally taking action to have the most severely affected Elms removed, Gary suspected it was a result of Glen placing a call to some higher authority about the Dutch Elm problem. The elm tree take down and removal wasn’t a total loss, visiting with city employee Tex Dixon, discovering the city would be hauling the trees to the dump on the cemetery road, Gary mentioning that he was willing to haul off limbs up to sixteen inches in diameter. Apparently Tex got the word out to those falling the trees, Gary able to compile a host of good size limbs, piling them along the driveway and fence line of his residence. Back when he was employed at John Deere he looked into buying a log splitter but found it cost prohibitive, but recognized that ingenuity was free. 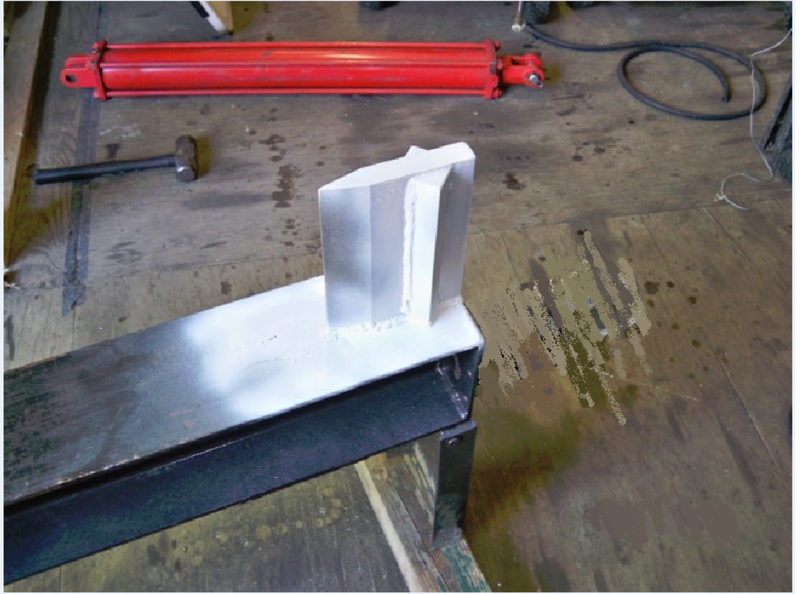 At work he came up with a four-foot I-beam, a remnant from the assembly of the new Service Company shop, welding two chisel blades to form a cutting edge V then mounting a three-inch diameter implement cylinder with a push plate on the other end. A discarded Service Company electric 10,000 PSI hydraulic pump previously used for endowing fitting on high pressure hoses was a meaningful source of power to activate the hydraulic cylinder. The time consuming work to begin, chain sawing the logs in useable lengths and introducing his home-made log splitter to the elm. The appliance was absolute in performance, young Robert accompanying Dad in the log splitting operation, Gary placing the logs in position, while Robert operated the hydraulic pumps control button, the two recognizing a summer’s work, for a winters heat. This entry was posted on June 28, 2016 at 4:23 am and is filed under Uncategorized. You can follow any responses to this entry through the RSS 2.0 feed. You can leave a response, or trackback from your own site.